I’m starting a new event on the Writing Refinery Facebook Page today: Writing Prompt Friday! I’ll cross-post here, too, so that everyone can participate. 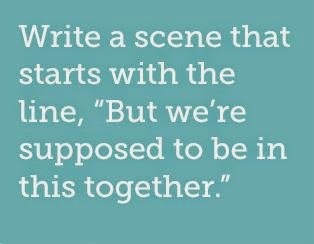 The idea is, look at the prompt, and write 1000 words or less, just a short piece, that incorporates the prompt. You can post a link to your piece in the comments and I’ll make sure to come give you some encouraging feedback!